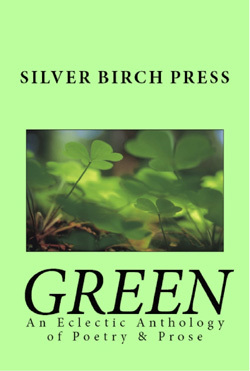 The Green Anthology comes on the heels of Silver Birch Press’s Saboteur Award-nominated Silver Anthology published in 2012. It, like the one before it, is a treasure trove. 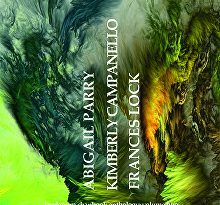 Editors Melanie Villines and Joan Jobe Smith have gathered poems, stories, fables and memoirs from some seventy contributors who recalibrate green. 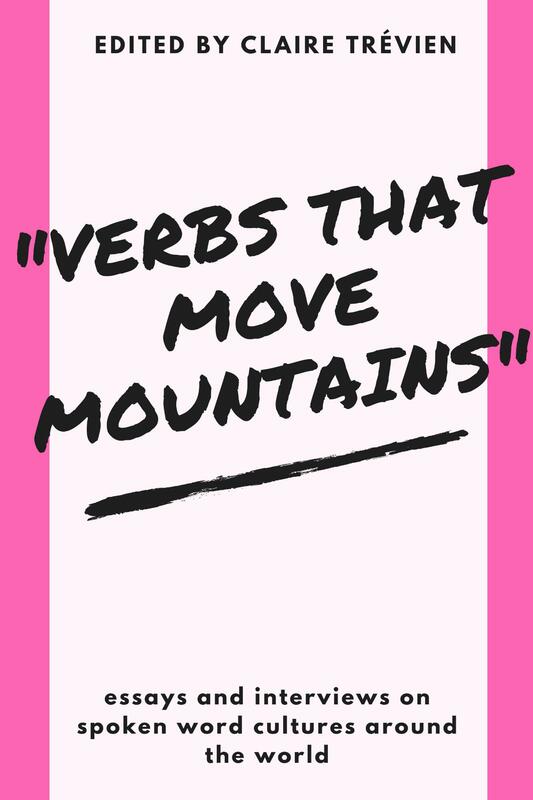 From across the centuries come writers as disparate as Henry VIII and Kurt Vonnegut, Andrew Marvell and Steven Kuhn, Amy Lowell and Jax NTP. Their work – their play – take us to green aspects of nature and our gardens, of course, but also to shades of money, envy, luck, love and food. The Green Anthology is a rich feast. Villines writes in her introduction that, ‘my esthetic preference was to look at one thing in many different ways […] the thematic resonance helps the component parts fit into some larger architecture […] making the material more meaningful.’ The associations we have with color are both individual and universal, and we know, of course, that with literature we see things from angles we might not otherwise consider. Readers may be especially enchanted when a writer casts a different light across a familiar concept or object, large or small, such as green. As I read and write this from my cottage, I might not have noticed exactly the way, after an unusually rainy spring and summer, vegetation pushes in at the windows and doors, or, as Gaia Holmes writes in ‘The Glass House’, ‘the world is plump and curved/full of juice and spectrums.’ A few pages later, Andrew Marvell offers the enigmatic, ‘Annihilating all that’s made/To a green thought in a green shade,’ in his ‘The Garden’. And to think I had only been thinking of how much pruning I needed to do. like a run of good luck. Naturally, if there is a discussion of green, there is going to be a discussion of money. Al Basile finds funds tantalizing in ‘How I Learned the Value of Money’, as his young narrator gazes at dimes and nickels resting in his uncle’s palm. Far more alarming, the narrator of Conrad Romo’s ‘Pillow Talk’, has discovered the danger of money by getting caught up in pyramid schemes. Against this is this from JAX NTP’s ‘neurosity lxxxviii’: ‘my anxiety has a baby rattlesnake in it’ which curls through our inside. Also worrying is Joyce in The Dubliners: ‘I saw a man approaching from the far end of the field . . . He was shabbily dressed in a suit of greenish-black . . . When he passed at our feet he glanced up at us quickly . . .’ All green, but one neon, one slithering, and one threadbare. The Green Anthology, dedicated to that greatest of green, Graham Greene, stands upon his belief that, ‘The great advantage of being a writer is that you can spy on people. You’re there, listening to every word, but part of you is observing. Everything is useful to a writer, you see—every scrap’. Clearly, the editors understand this is also true of color. Villines and Smith seem to be on a journey that celebrates color, last year silver, this, green. Perhaps next year, they will tackle my favorite, blue, or yours.